This laptop is one of the best of the year 2018. It has a sturdy built quality, it’s lightweight it has excellent battery life, and it also has outstanding performance. 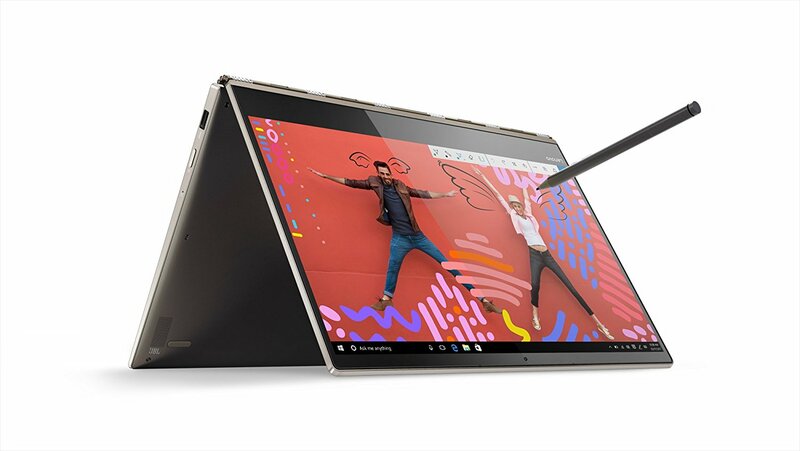 Other than the high price there’s nothing to hate on this Lenovo YOGA 920-13IKB(see the lowest price). This laptop is premium, and it’s impressively fast. It has the latest 8th generation Intel i5 processor, a 256GB SSD and 8GB of RAM. This makes it very good for heavy office tasks and browsing with a lot of tabs open. It can even manage photo and video editing. This Lenovo YOGA comes with a fingerprint scanner that can be used instead of a password when you log in. It also has a stylus that you can take notes with and draw. The pen effortlessly glides over the screen. The ultra-fast SSD makes it boot in about 4 seconds which is about as fast as you can get. The screen is awesome. It displays bright and vivid colours without blur, and it’s responsive to touch. If you keep the settings down on the screen brightness, you can get more than 11 hours of battery life. You can also flip this laptop to use it as a tablet with its touchscreen display. Many laptops have an average webcam, but this laptop’s webcam delivers excellent quality in both sound and image. Because it has a lack of base, the speakers won’t sound at their best. Listening to music and watching movies might not be as enjoyable with built-in speakers. The price is a bit high for the performance, but the premium built quality balances it. A cheaper machine might do a similar job, but if you want premium, this is the laptop.